Stores ref. 6F/154. 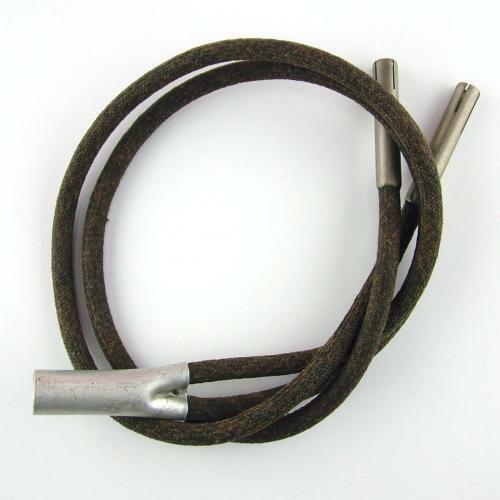 Used for communication between pilot and co-pilot - usually within biplane cockpits. Also used with many FAA flying helmets that have integral provision for the tubes. Faint markings on the metal socket. The fabric covered flexible metal tubes are in excellent condition throughout. Stock code H21534.